We’ll miss you Vin. Find the story on his homecoming below. Photo by Alex Gillman. 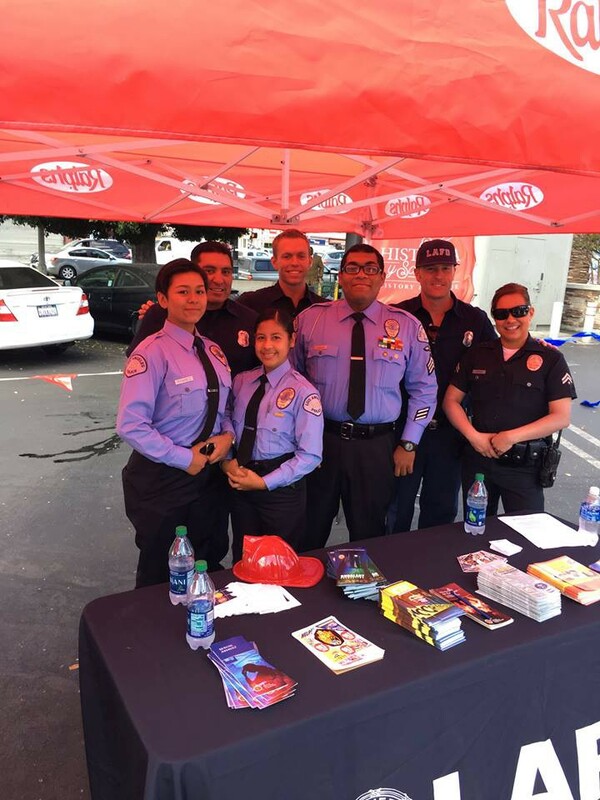 This past weekend found LAFD personnel taking part in the 2016 Valley Disaster Preparedness Fair held at Fire Station 87 in Granada Hills. 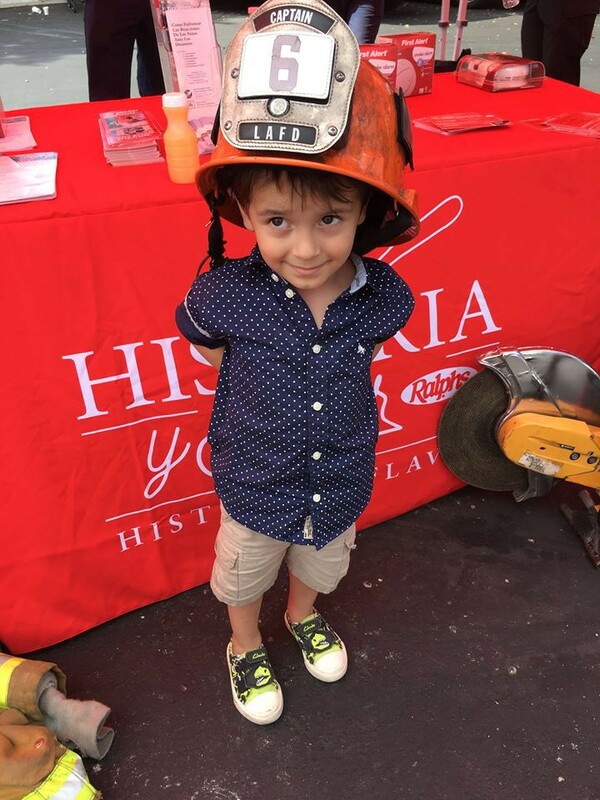 The annual, family-friendly event established in 2007, brings together community disaster resources and members of local communities to better prepare for disasters together. 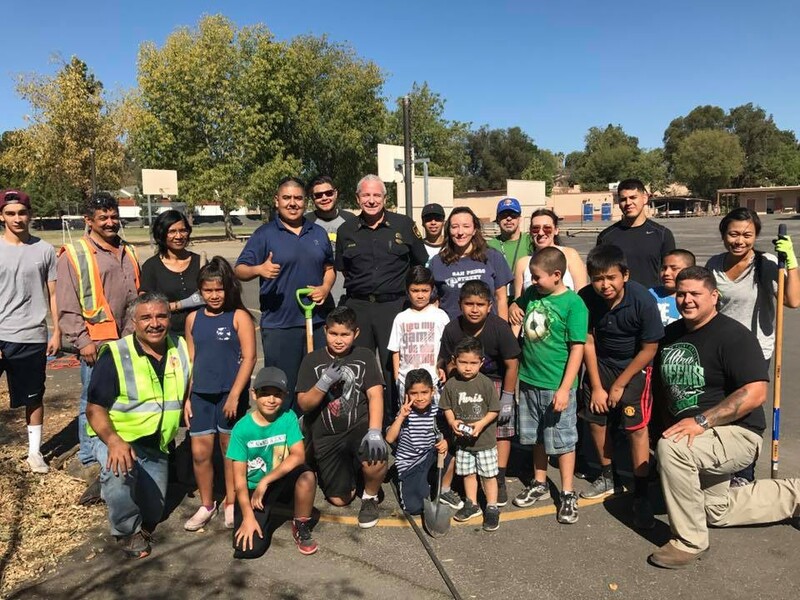 The more preparation completed before a disaster, the better chance of a swift response from first responders and trained members of the community. 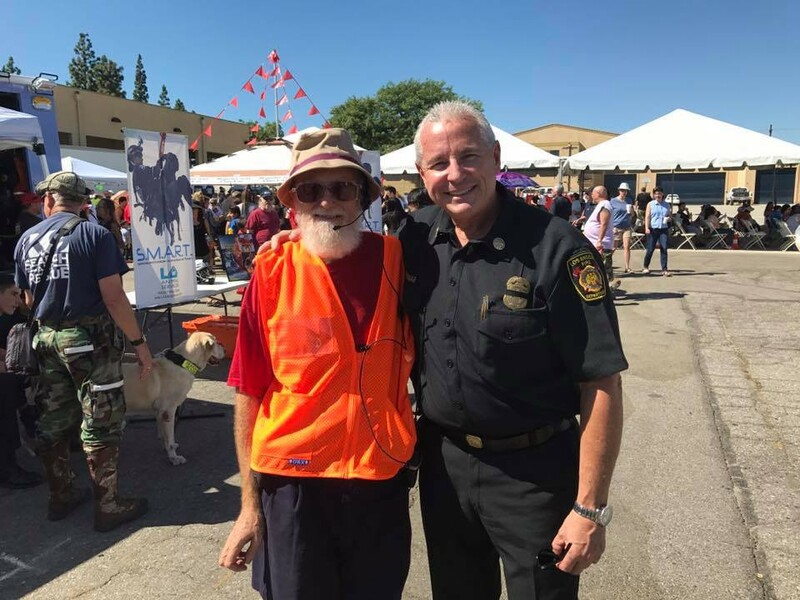 LEFT: LAFD Assistant Chief Gregory Reynar with William Hopkins, President of Southern California Preparedness Foundation. RIGHT: Members of the community who came out to the event are all smiles. Two photos by LAFD Valley on Facebook. One of the biggest challenges facing firefighter recruits is developing the strength and fitness required to be successful in the LAFD Training Academy. 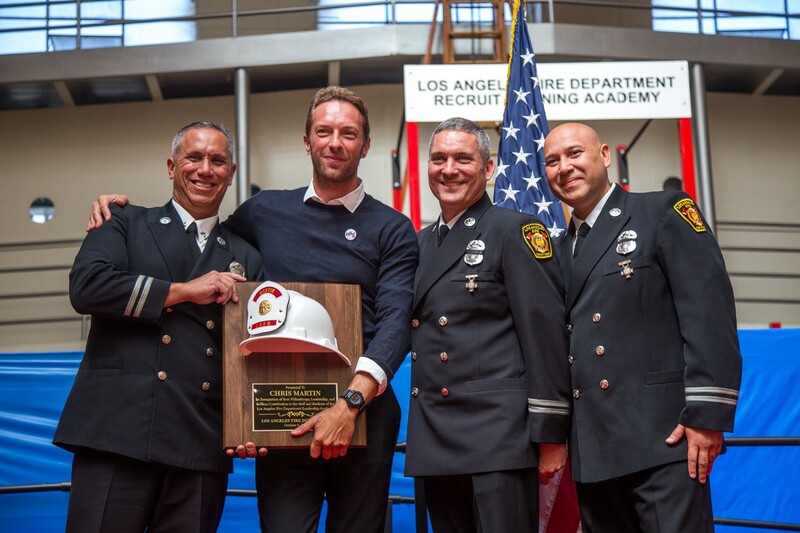 Understanding this challenge, the LAFD Candidate Assistance Program (CAP) offers recruits a chance to join a free, physical fitness program designed by firefighters for everyone. Last weekend’s session at Drill Tower 81 in Panoramic City focused on developing both strength and metabolic conditioning in a similar training environment to that found in the LAFD’s fire academy. Across town that same morning near Dodger Stadium, LAFD personnel took part in the 9th Annual Randy Simmons 5K & 10K, Challenge Runs, Crossfit and Bike Ride at the LAPD’s Elysian Park Academy. Honoring fallen LAPD SWAT Officer Randy Simmons, who was killed in the line of duty in 2008, the Randy Simmons Challenge offers everyone the opportunity to honor Simmons’ memory while working to stay healthy. 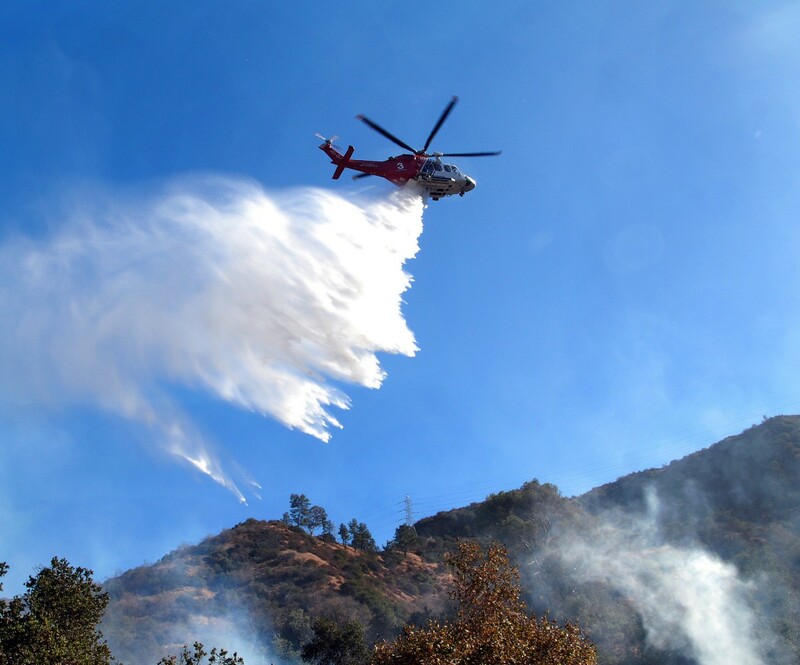 While firefighter candidates and other personnel exercised near Dodger Stadium, 75 firefighters from the air and ground coordinated an attack to limit a brush fire to just half an acre. The blaze was extinguished in less than an hour. 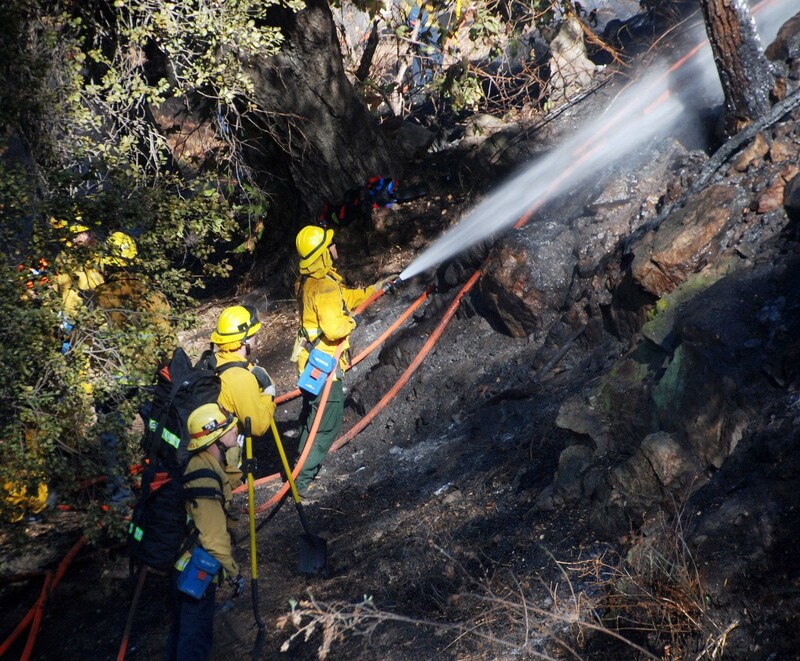 No structures were threatened and no injuries were reported. 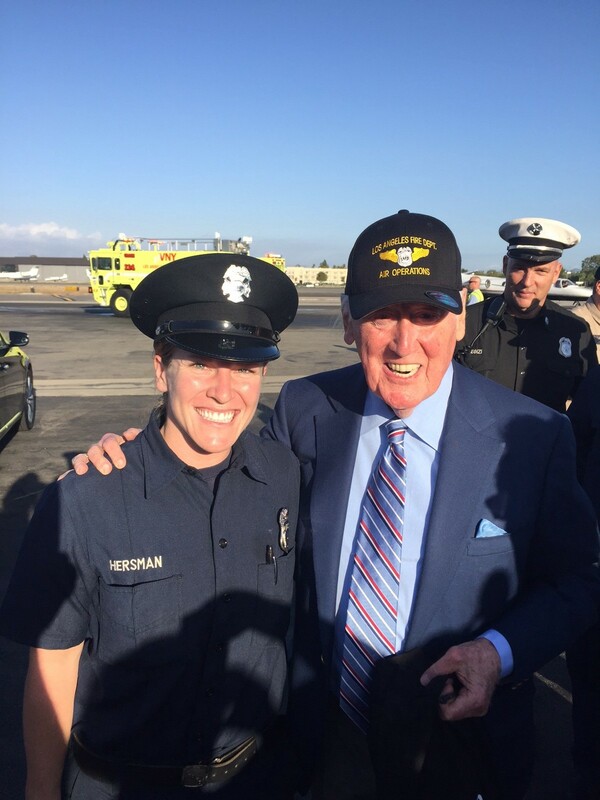 As Sunday afternoon drew to a close, LAFD firefighters, paramedics and air operations personnel lined Van Nuys Airport to assure the safe return and offer a warm welcome home to legendary Dodgers broadcaster Vin Scully following the completion of his spectacular 67-year broadcasting career. 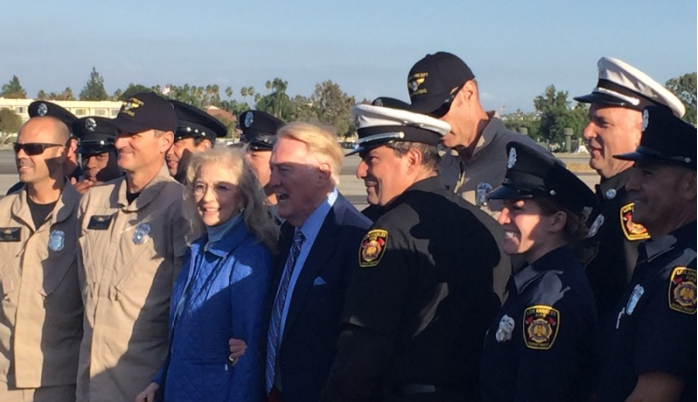 Vin Scully, joined by his wife, Sandi, pose for a group photo with members of the LAFD on hand to welcome the legendary broadcaster and his family home after his final game. Photo: LAFD. 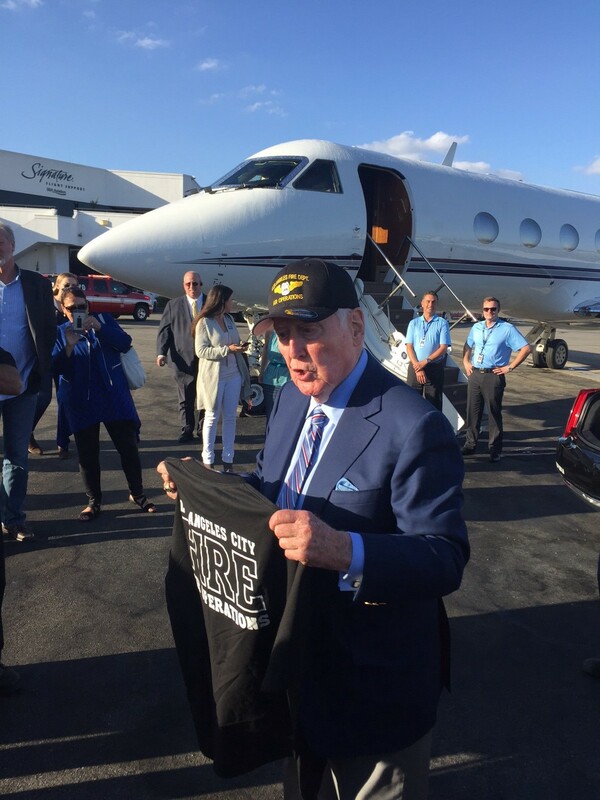 LEFT: Scully adorns an LAFD Air Operations hat presented to him and receives an official LAFD firefighter T-shirt. 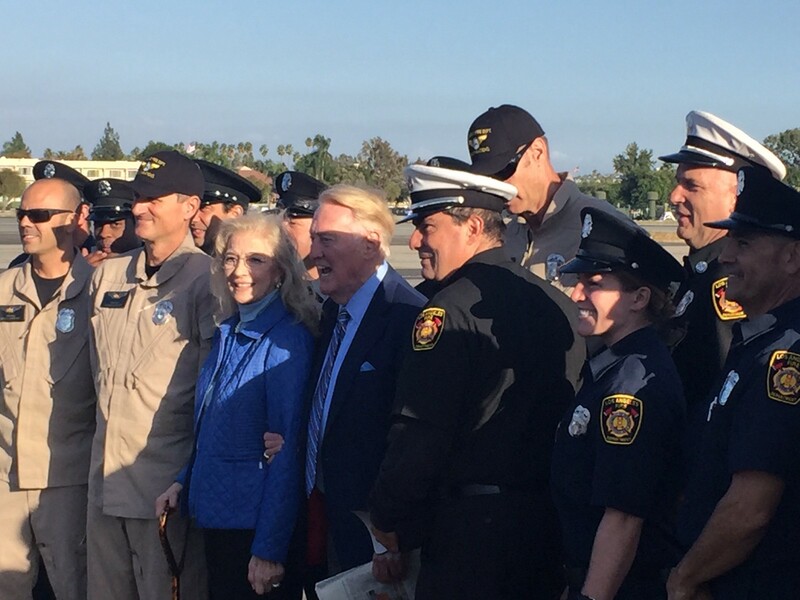 RIGHT: Even after calling a baseball game in San Francisco and the flight home, Scully is still all smiles as he posed for photos with LAFD crewmembers on hand. Two photos by LAFD. 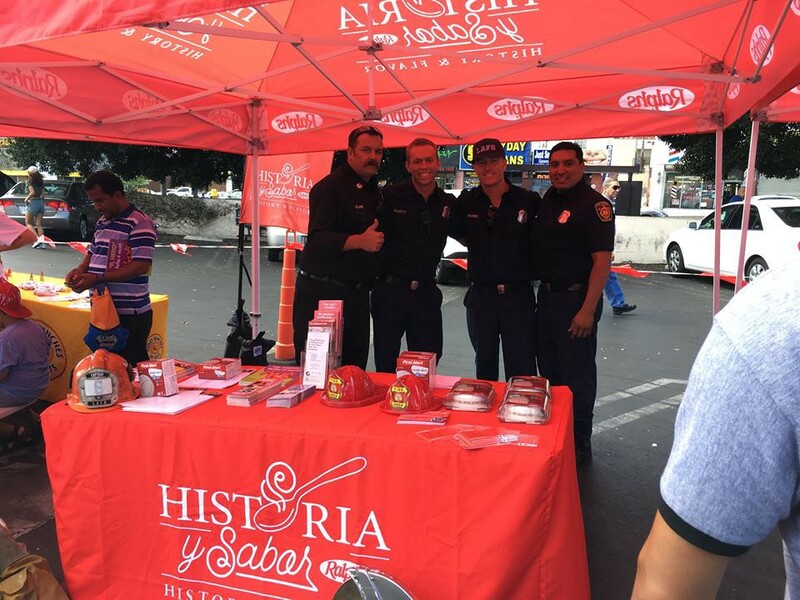 A few hours later, LAFD crew members from Fire Station 6 were proud to participate in the Hispanic Heritage held in the Angeleno Heights -Echo Park community. Three photos by LAFD Central on Facebook. Later that evening at 10:15 p.m., LAFD crews raced to the 8800 block of Orion Ave. in North Hills where they found a two-story structure on fire. The fire, contained to the first floor, began after a candle unknowingly fell into a basket of laundry. Igniting the clothes in the basket, it then spread to one wall of the home but was abruptly halted when crews arrived and took the basket out of the house to douse with water. No injuries were reported. Did you know that roughly one-third of home candle fires start in the bedroom? 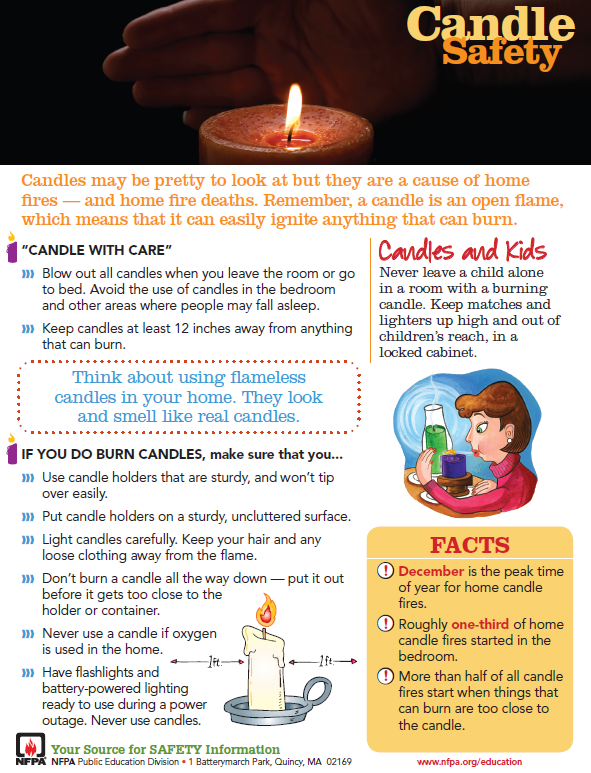 Learn how to prevent candle-related fires through the helpful tips below. 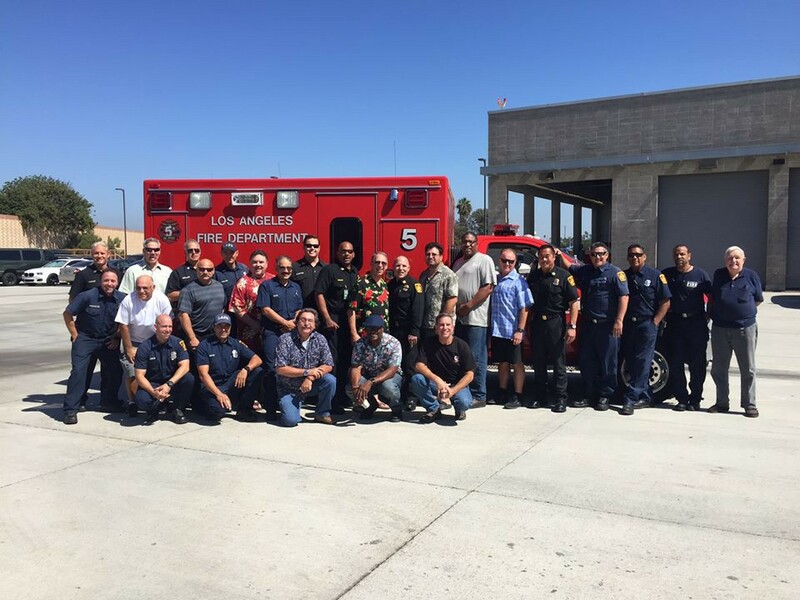 LAFD crews and equipment were a common sight throughout the fire stations of Ventura County on Monday as they stood in for the day to allow neighboring members of the Ventura County Fire Department (VCFD) to mourn the loss of VCFD Firefighter Ryan Osler at his memorial service. Osler, an 18-year veteran of the VCFD, was killed while on-duty when the water tanker truck he was in hit a curb near Lompoc and rolled over as he responded to the Canyon Fire on Vandenberg Air Force Base. Members of the LAFD Honor Guard and other sworn members were also on hand at the memorial service to pay their respects on behalf of the entire Los Angeles Fire Department. Thank you Sherman Oaks Fire Station 88 for representing the LAFD and the City of Angeles, with Courage, Integrity, and Pride during a difficult time for the fire family of fallen brother Engineer Ryan Osler. Although not always given the same amount of coverage as our other personnel, the LAFD’s search and rescue K-9’s are some of the most important members of the department’s family. Published on Monday by Kore.am, a story focused on K-9 Roxie and her handler, Cynthia Sato, tells the story of Roxie and how she went from a stray on the streets of Sacramento to one of the most crucial team members of the LAFD. Summer might be officially over, but Southern California’s warm weather might have some wondering when fall will arrive. Such was the case Tuesday afternoon as high temperatures coupled with Santa Ana winds, brought gusts up to 50 mph, helping to fuel a small, grass/rubbish fire at the Interstate 5 / 118 Freeway interchange in Pacoima. Sparking at 12:19 p.m., the fire forced for the closure of two lanes on the 118 as crews extinguished wind-aided flames that continued swiftly. 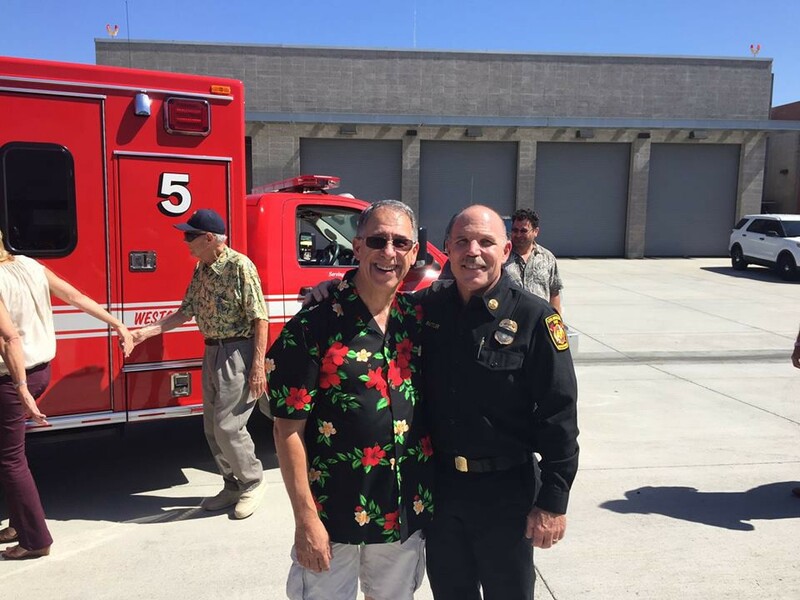 It was going to take more than warm weather and gusty winds to stop members of the LAFD’s Operations West Bureau from holding a small luncheon for retiring Firefighter/Paramedic Robert “Bob” Fogelman. As the sun rose over South Los Angeles Wednesday, a three-vehicle collision occurred in the 1800 block of E. Washington Blvd. A cement truck rolled on its side as LAFD crews extricated the driver and transported him in critical condition to a local hospital. Drivers of two other cars involved sustained non life-threatening injuries. There were no further injuries and firefighters worked quickly to ensure any fuel spilled was halted. Continuing the coverage of the LAFD’s two new magnet programs, one at Banning High School and the other Wilson High School, NPR’s Eric Westervelt took an in-depth look at what it’s like to be a part of these programs from a student’s perspective. Jessica Melgoza, 14, is one of the 21 female cadets at Banning High School out of 74 total that is seeing first hand what types of conditions firefighters work in. Melgoza, a freshman, says she’s interested in a career as a first responder. Maybe fire, maybe law enforcement. I ask her if she’s concerned that it’s a male-dominated field. Shortly after 8 a.m., the LAFD received calls regarding a vehicle collision in Chinatown after one car rolled over. One person was transported to a local hospital with no further injuries reported. 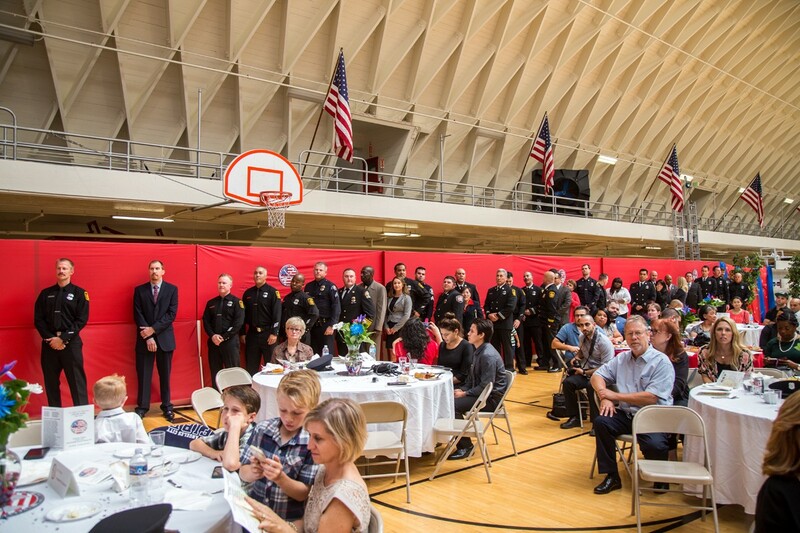 Later that morning, the LAFD Leadership Academy graduation for class 16–3 took place at the Frank Hotchkin Memorial Training Center. The LAFD Leadership Academy is a graduate level series of courses that provides a foundation necessary for successful leaders. 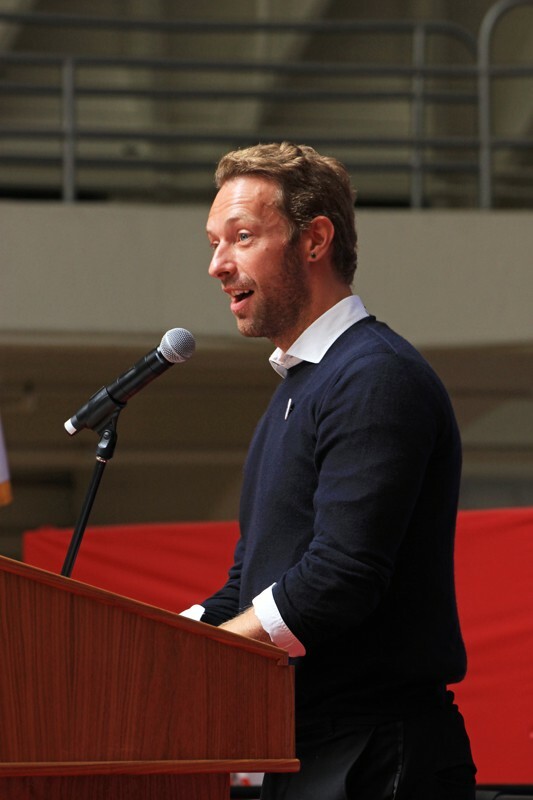 On Thursday, 34 people who represent a broad cross section of public safety and government graduated during a ceremony that included Chris Martin, lead singer of Coldplay, delivering the keynote address. 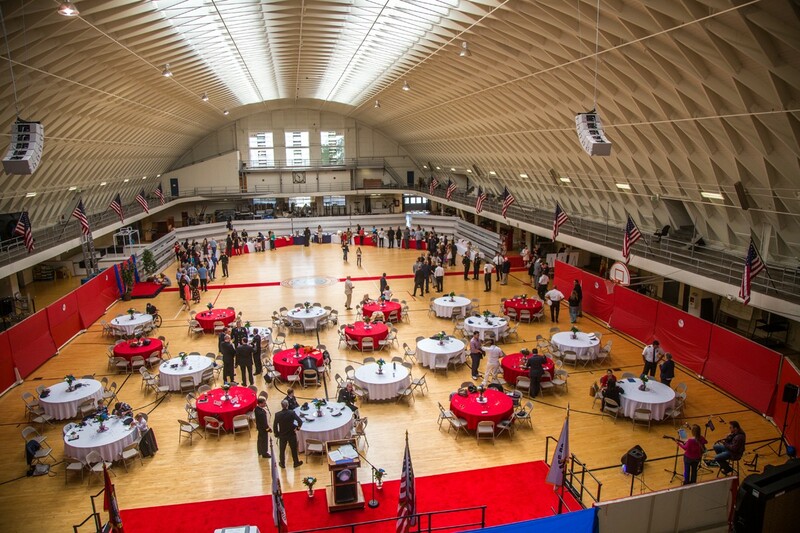 The Frank Hotchkin Memorial Training Center hosted the Leadership Academy graduation — the same location where each meeting for the graduating class took place over the past four months. LEFT: Keynote speaker Chris Martin speaks on the qualities of leadership he has developed over the years through the work within his band, his personal relationship with fire personnel and his deep level of congratulations to the members of the graduating class. RIGHT: At the conclusion of his speech, Academy leaders present Martin with an official helmet plaque to thank him for his time and inspiring words on leadership. 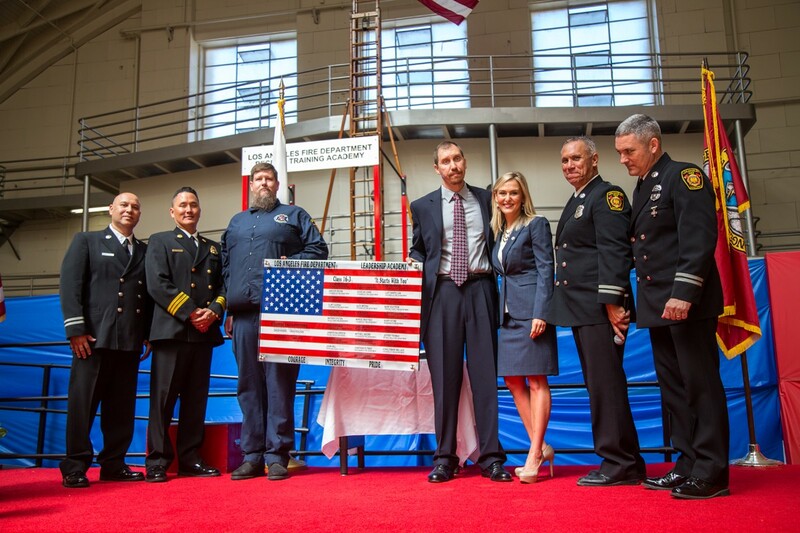 LEFT: Members of graduating LAFD class 16–3 present Leadership Academy commanders the class gift. 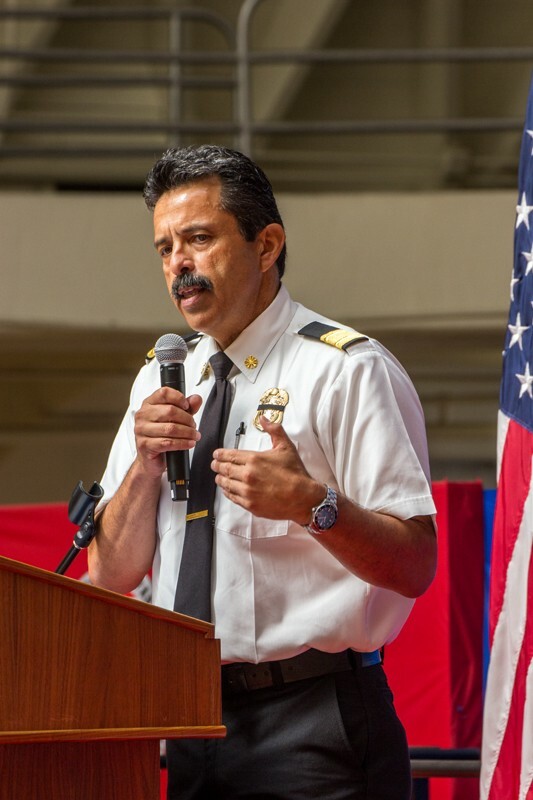 RIGHT: LAFD Fire Chief Ralph Terrazas speaks on the points of leadership he has developed over the years and those he challenged the graduates to continue pursuing beyond the academy. LEFT: Academy graduates line-up in preparation for their names to be called to receive their certificate. 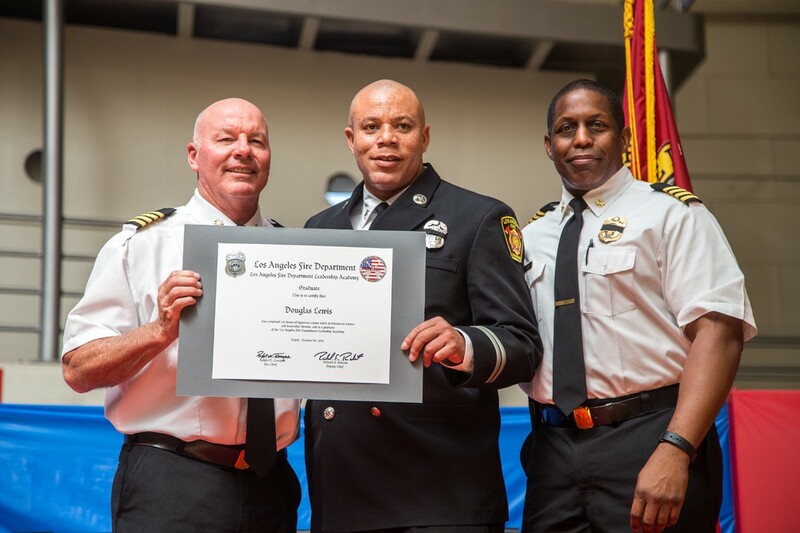 Members of the LAFD, such as Captain Douglas Lewis, were greeted by LAFD Chief Deputy Joe Castro and Deputy Chief Richard Rideout who presented them with their graduation certificate. Seven photos by Alex Gillman.